Capture baby memories in a treasured keepsake that’s perfect for sharing with loved ones. Yours will be an original creation—just like baby. Find the perfect baby shower invitations, birth announcements, baptism invitations, birthday cards and more. Friends and relatives can’t get enough of your new baby so give them what they want—a website featuring your baby’s pictures and stories. 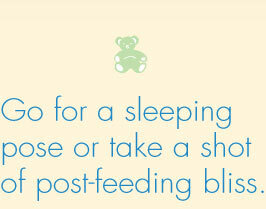 Babies don’t come with manuals but we’ve got some great tips for sharing the little moments and the big milestones. Follow our tips for creating beautiful birth announcements and welcome baby in style. 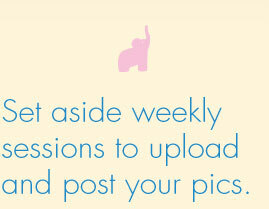 Get organized ahead of time to share baby’s pictures and keep the paparazzi at bay. Photo books are great for chronicling occasions big and small—and there’s no occasion bigger and no honoree smaller than a new baby. The Waggoners traveled to Albania to meet their new daughter. 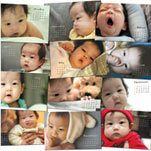 Their photo book tells the special story of how a little girl named Ellie completed this family. Capturing baby’s major milestones, quiet moments and everything in between is easy with the Celebrate Everyday Life photo book by Ali Edwards. When Amy McManigal was pregnant with her second baby she wanted to make a special photo book to ease her son into his role as a big brother. With twins to juggle and precious little time, Petia Mitchell wanted a baby book that was simple to create and flexible enough to satisfy her creative needs. 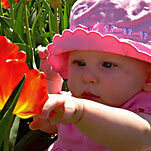 It may not seem like the first year is passing quickly, but your baby will be toddling before you know it. Some tips to capture the wonder of every stage.